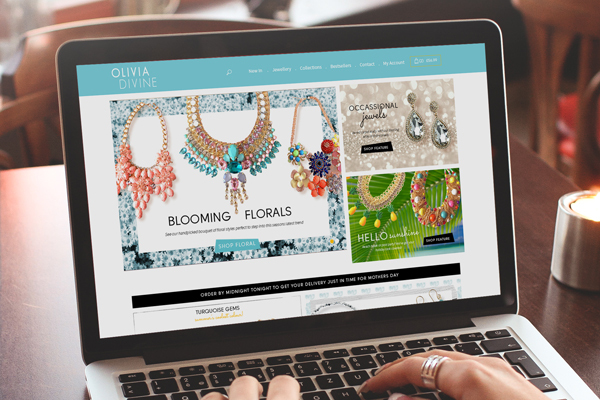 This April, we’re delighted to launch the refreshed, fully reponsive website for local jewellery emporium, Olivia Divine, who stock a gorgeous range of fashion and costume jewellery. We have given their identity a bit of a makeover and the site has been re-designed with an improved customer account facility, which provides an easy and enjoyable shopping experience. If you would like to hear more about how we could transform your branding and website, please get in touch with us today.